Who Is Hazel Scott, the Piano Player Alicia Keys Mentioned at 2019 Grammys? 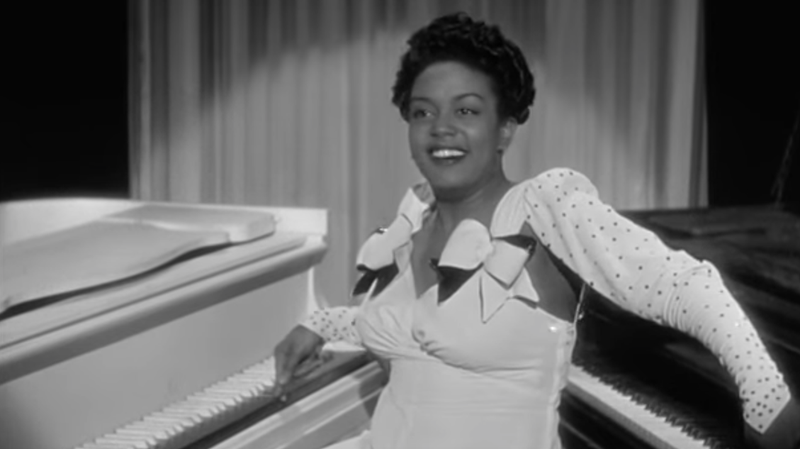 Hazel Scott, a jazz performer, was indeed a seriously incredible pianist, showing off that signature double piano playing in a scene in the 1943 film The Heat’s On. But she also had a crazy, boundary-breaking career in the entertainment industry, one cut too short after being accused of being a communist. Her career in Hollywood dead, Scott started touring, winning rave reviews at concerts across the country and fighting discrimination throughout. In November 1948, she refused to play a sold-out show at the University of Texas because the audience was segregated, despite the anti-Jim Crow clause in her contract, which allowed her to cancel the booking without forfeiting her pay. And in February 1949, she sued a restaurant in the tiny town of Pasco, Washington, after she and a companion were refused service because, as the proprietor put it, “We don’t serve coloreds.” Scott won $250 in the suit, and donated the proceeds to the NAACP. The Hazel Scott Show was canceled after the hearing and she eventually moved to Paris to play and perform sporadically. After moving back to the U.S., she died of pancreatic cancer in 1981. But for a brief moment during the Grammys, Scott’s musical talents lived on in the form of one incredible double-piano performance.